February 8. 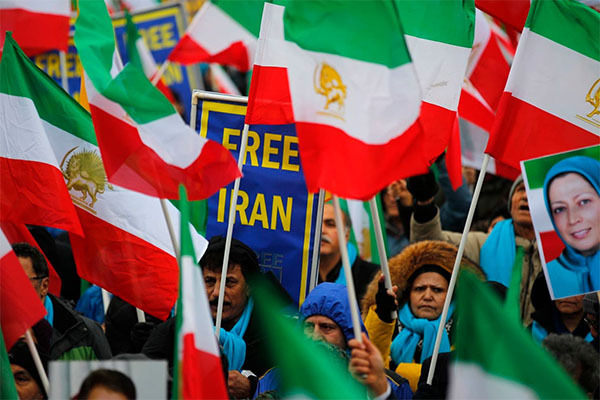 2019 – Washingtonpost – By Associated Press – PARIS — Several thousand supporters of an exiled Iranian opposition group marched through Paris on Friday, calling for an end to Iran’s clerical regime 40 years after the Islamic revolution toppled Iran’s monarchy. The group bases its headquarters outside Paris with several thousand members in Albania, extracted in a U.N.-brokered effort from Iraq. Supporters are scattered elsewhere in the West as part of the Iranian diaspora. Security was tight during the rally and march through Paris’ Left Bank. The group’s annual rally last year was the target of an alleged bomb plot, which was thwarted by arrests. An Austrian-based Iranian diplomat is being held in Belgium, where police found bomb material in the car of a couple of Iranian origin. “As long as we’re dealing with the main state sponsor of terrorism, there is a concern … But that will never stop us,” MEK spokesman Shahin Gobadi said. The MEK hones to U.S. President Donald Trump’s hard line on Iran, and supports U.S. sanctions on Iran. One speaker, former French Sen. Jean-Pierre Michel, said in an interview that “I’m not a fanatic of Mr. Trump … but I think the United States is right about Iran.” He chastised Europeans for what he views as their softer approach to Tehran. Michel, 80, is a long-time supporter of the Mujahedeen, which has drawn around it numerous U.S. and European parliamentarians and former officials who disagree with critics’ portrayal of the organization as cult-like.